Flash back to late 2018: Subway had just decided to ground nationwide efforts for its famous $5 footlong deal, leaving it up to franchisees to decide whether to keep it or not. This came amidst protests from franchisees who were against the deal returning in the first place and lagging sales. It seemed like the iconic bargain sandwich was finally dead in the water. Fast forward to today, and a $5 (or less) footlong option is once again back on menus. Not at Subway, however, but at one of its rivals — Jimmy John's. Their new Frenchie sandwich is everything the $5 Footlong wanted to be at Subway: Convenient, fast, and priced at a bargain. 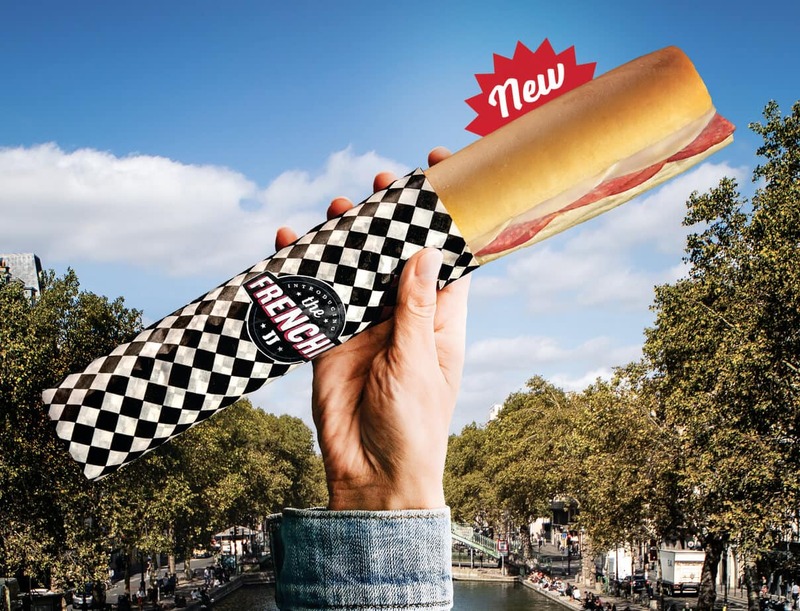 Each Frenchie sandwich is sold as a grab-and-go option, being pre-made with salted butter, capicola, salami, and provolone in a 13-inch French baguette. You can literally be in and out of a location with one of these in less than a minute. What really makes these Frenchies a deal, though, is the price. Foodbeast independently confirmed with multiple restaurants nationwide that the new baguette is menu-priced at $5 or less everywhere. Prices range from as low as $3.99 (El Paso, Texas) to $5 (in Portland, Houston, and Phoenix). Sure, they don't have the customizability Subway's version of the sandwich had. But if you're looking for a quick sandwich option at a low price, Jimmy John's deal stands out in a big way. You can find the Frenchie at locations nationwide for a limited time.